The New Zealand/Samoa Friendship Week Restaurant Challenge ended last night with the Saletoga Sand Resort winning the competition their slow roasted Kiwi duck served with breadfruit hash dish. A prize giving ceremony held at the New Zealand High Commission residence at Letava saw the winners being announced and congratulated. 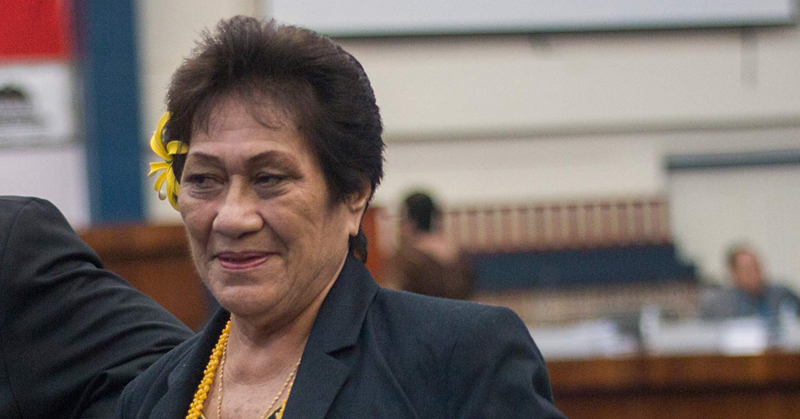 The Minister of Tourism, Sala Fata Pinati, Samoa Tourism Authority C.E.O, Papali’i Sonja Hunter joined the Samoa Culinary Association, Samoa Hotels Association, restaurant owners and chefs to celebrate. 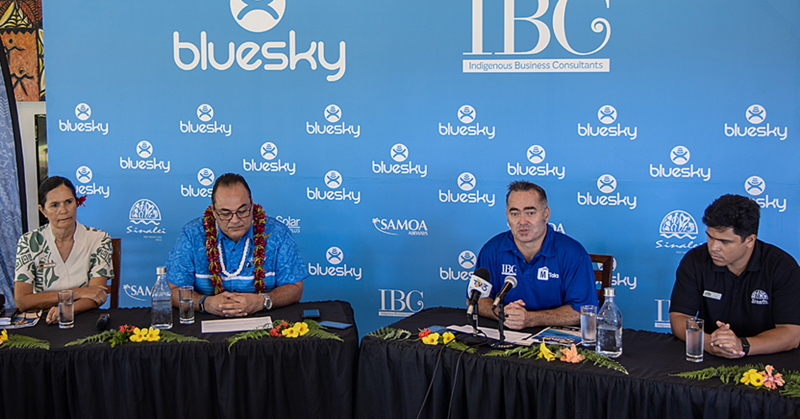 Between the 5th and the 15th of August, participating restaurants put up new dishes for judging; the dishes had to fuse both New Zealand and Samoan ingredients. “This event is all about the growth of tourism,” said New Zealand High Commissioner, Jackie Frizelle. According to Mrs. Frizelle, the Challenge has grown over the years. “The first year that we had the Restaurant challenge was during the 50th year of celebration of the treaty; now when it was first started it was a one off idea,” she said. “It was something to celebrate that particular year; but there was so much interest and enthusiasm around it that we thought we would give it another go. And so it grew and it grew and it grew and now after five year I think it has developed a huge life on its own. Along with the growth of the competition, the quality of the dishes have improved vastly. “I do think the quality of food, the fabulous innovatively interesting ideas that has been put on the plates has changed over time,” Mrs. Frizelle said. Mrs. Frizelle also shared her appreciation for everyone who helped keep the restaurant challenge running. “I would like to thank everyone who took place in this,” she said. “I managed to taste only a few dishes and I was really blown away by how creative they were and the incredible taste sensations. “I would also like to acknowledge the waiting staff who did a great job; often in explaining the dish and presenting it. “I would like to thank the sponsors of this event who have so readily supported this yet again; most of them also supported us last year. 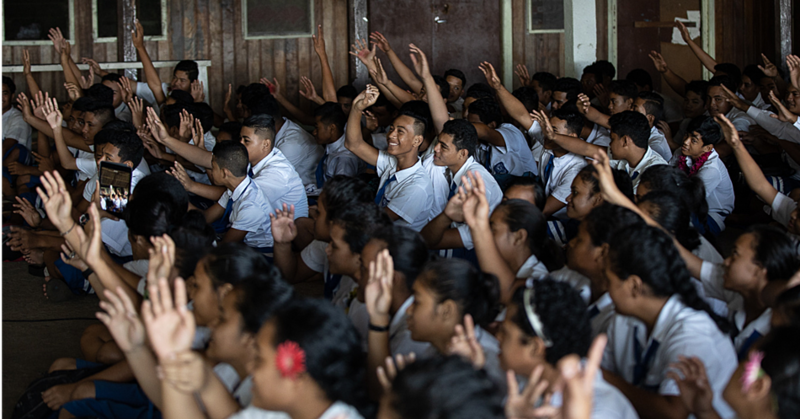 “We appreciate the help from Lucky Foodtown, Farmer Joe, Samoa Meat Supplies, Niu Sina, Digicel, Air New Zealand, Toa Gas, Samoa Tourism Authority and of course the Samoa Culinary Association. And with the curtains closing on this year’s challenge, all eyes are eager to see what next year has in stall for everyone. “So we are looking forward to next year’s challenge and we’re open to ideas,” Mrs. Frizelle said. 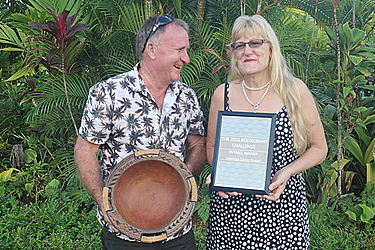 But for the happy owners of the Saletoga Sand Resort, Gavin and Lou Brightwell; winning the overall award came as a major shock. “Last year we entered and won the most Innovative and skill award and now for us to win the overall award this is just amazing.